For other uses, see Senate of the Republic. The Senate of the Republic, (Spanish : Senado de la República) constitutionally Chamber of Senators of the Honorable Congress of the Union (Spanish : Cámara de Senadores del H. Congreso de la Unión), is the upper house of Mexico's bicameral Congress. Thirty-two national senators-at-large, divided among the parties in proportion to their share of the national vote. In a senatorial race, each party nominates two candidates who run and are elected together by direct vote. The party of the two candidates that won the second highest vote within the state or the Federal District then assigns a senator to occupy the third seat (first minority seat), according to the list of candidates that the party registered with the Federal Electoral Institute (IFE). Senators serve six-year terms, running concurrently with the President of Mexico. Special elections are rare, as substitutes are chosen at every election. The President of Mexico, officially known as the President of the United Mexican States, is the head of state and government of Mexico. Under the Constitution, the president is also the Supreme Commander of the Mexican armed forces. The current President is Andrés Manuel López Obrador, who took office on December 1, 2018. Until 2018, the Senate was completely renewed every six years since senators are barred from immediate reelection. As of 2018, Senators can now serve a second term. In Spanish, it is conventional to refer to each Legislature of the Senate by the Roman numeral of its term. A legislature is a deliberative assembly with the authority to make laws for a political entity such as a country or city. Legislatures form important parts of most governments; in the separation of powers model, they are often contrasted with the executive and judicial branches of government. The current session (whose term lasts from 2018 to 2021) is known as the LXIV Legislatura (64th Legislature). Senators are elected to serve during two legislatures of the Mexican Chamber of Deputies. Thus, current senators (who were elected in the general election of July 1, 2018) will serve during the 64th and 65th Legislatures of the Chamber of Deputies. Being a Mexican citizen by birth, in the exercise of their rights. Being from the state in the election, or neighbor of him with an effective residence of more than six months prior to the date of the election, or in the case of candidates is made by proportional representation of any of the states that as the constituency, with the same details. Not being active duty in the military or have control of police or rural gendarmerie at least ninety days before the election. Not be a secretary or undersecretary of state unless it is definitively separated from office at least ninety days before the election. Not be Minister of the Supreme Court unless definitively separated from office three years before the election. Not a minister of some religious cult. Senators are elected for a period of six years, corresponding to two legislatures and cannot be reelected for the immediate period, although alternately. They are elected by direct popular suffrage and secret ballot in every state of the republic. Each political party registers a list with two formulas of candidates, consisting of two owners and their alternates: the number 1 of the formula First Formula is denominated to him, and 2, Second Formula. The formula of candidates obtaining the highest number of votes is elected complete, becoming the first two senators of the entity; the third Senate seat is awarded to the candidate of First Formula of the political party that won second place of votes or first minority. There are also 32 senators elected by proportional representation. For this election, each political party registers a list of 32 candidates, and these are allocated by proportional representation according to the number of votes obtained by each political party in the national election. Board: Composed of a Chairman, three Vice-Chairpersons and four Secretaries, elected for each regular session of the House, the President is the turn of the Senate and is the head and representative of the Chamber. For the office of legislative affairs, senators integrate into Commissions that are dedicated to a particular issue. The most important committees are those of Interior, Constitutional Issues, Defense, Finance, Justice, among others. Each senator belongs to at least three different commissions, and each committee shall elect a Chairman and two Secretaries 5 (according to the Commission) to coordinate their work. A senator holds office for a period of six years for which he was elected (from September 1 of the year of its election to the 31 August six years later), divided into two legislatures of three years each. From 1 September 2015 is installed LXIII Legislature, which will end its term on 31 August 2018. Senators were elected to office in the 2012 elections for a period of six years and are at their posts from 1 September of that year, therefore they will hold office from the LXII Legislature to LXIII Legislature. The two chambers of the General Congress divided its exercise into two ordinary sessions, the first from September 1 to December 15 and the second from February 1 to April 30, it should be required may convene special sessions to dispatch urgent or pertinent matters. The time between the regular sessions known as Recesses. There are two recesses that run from December 16 to January 31 and May 1 to August 31. During breaks, the Permanent Commission of the Congress is installed and serves as the depository of the legislature; It is composed of 37 members, of which 19 deputies and 18 senators are appointed by their respective chambers the day before the closing of the regular sessions. The sessions of the Standing Committee are held in the Senate during the first recess and the House of Representatives in the second recess. Former Main Senate Chambers at the corner of Donceles and Xicotencatl Streets in the historic center of Mexico City. 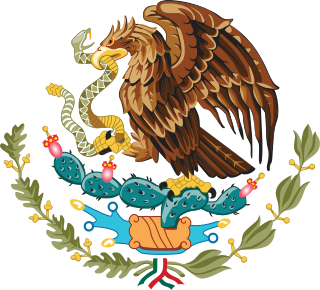 The Congress of the Union, formally known as the General Congress of the United Mexican States, is the bicameral legislature of the federal government of Mexico consisting of two chambers: the Senate of the Republic and the Chamber of Deputies. The Chamber of Deputies is the lower house of the Congress of the Union, the bicameral legislature of Mexico. The other chamber is the Senate. The structure and responsibilities of both chambers of Congress are defined in Articles 50 to 70 of the current constitution. The Congress of the Republic of Colombia is the name given to Colombia's bicameral national legislature. The Senate of the Republic of Colombia is the upper house of the Congress of Colombia, with the lower house being the House of Representatives. The Senate has 108 members elected for concurrent (non-rotating) four-year terms. The Senate of the Dominican Republic is the upper legislative chamber in the bicameral legislature of the Dominican Republic, and together with the Chamber of Deputies makes up the Congress. The National Congress of Brazil is the legislative body of Brazil's federal government. Unlike the state Legislative Assemblies and Municipal Chambers, the Congress is bicameral, composed of the Federal Senate and the Chamber of Deputies. The Congress meets annually in Brasília, from 2 February to 27 July and from 1 August to 22 December. The Argentine Senate is the upper house of the National Congress of Argentina. Elections in Mexico determine who, on the national level, takes the position of the head of state – the president – as well as the legislature. The Senate of Puerto Rico is the upper house of the Legislative Assembly of Puerto Rico, the territorial legislature of Puerto Rico. The Senate, together with the House of Representatives of Puerto Rico, control the legislative branch of the government of Puerto Rico. This article is about voting, elections, and election results in Argentina. 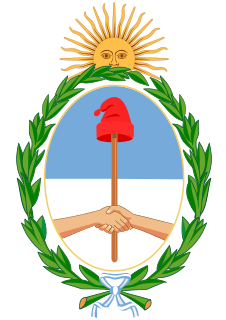 For details of Argentine government institutions and political parties, see Politics of Argentina. Brazil elects on the national level a head of state—the president—and a legislature. The president is elected to a four-year term by absolute majority vote through a two-round system. The National Congress has two chambers. The Chamber of Deputies has 513 members, elected to a four-year term by proportional representation. The Federal Senate has 81 members, elected to an eight-year term, with elections every four years for alternatively one-third and two-third of the seats. Brazil has a multi-party system, with such numerous parties that often no one party has a chance of gaining power alone, and so they must work with each other to form coalition governments. Uruguay elects on national level a head of state - the president - and a legislature. The Congress of the Republic of Peru is the unicameral body that assumes legislative power in Peru. The congress consists of 130 members (congresistas), who are elected for five-year periods in office on a proportional representation basis. The Plurinational Legislative Assembly is the national legislature of Bolivia, placed in La Paz, the country's seat of government. The Federal Senate is the upper house of the National Congress of Brazil. Created by the first Constitution of the Brazilian Empire in 1824, it was initially similar to the United Kingdom's House of Lords. Since the Proclamation of the Republic in 1889 the Federal Senate has resembled the United States Senate. 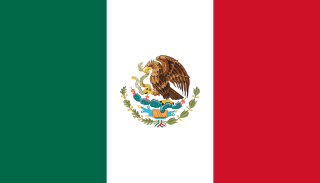 The Federal government of Mexico is the national government of the United Mexican States, the central government established by its constitution to share sovereignty over the republic with the governments of the 31 individual Mexican states, and to represent such governments before international bodies such as the United Nations. 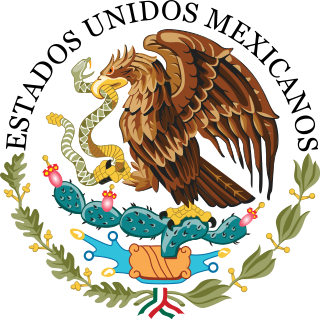 The Mexican federal government has three branches: executive, legislative, and judicial and functions per the Constitution of the United Mexican States, as enacted in 1917, and as amended. The L Legislature of the Mexican Congress met from 1976 to 1979. It consisted of senators and deputies who were members of their respective chambers. They began their duties on September 1, 1976 and ended on August 31, 1979. General elections were held in Dominican Republic on 15 May 2016 to elect a president, vice-president and the Congress, as well as 20 deputies to the Central American Parliament, municipal councils, mayors and vice mayors. On 15 May 2015 Roberto Rosario, president of the Central Electoral Board, said that there would be about 4,300 seats up for election in the "most complex elections in history". The LXIII Legislature of the Mexican Congress is made up of senators and deputies that are members of their respective chambers. It convened on September 1, 2015 and concluded on August 31, 2018. The Senate was the upper house of the Parliament of Portugal during the periods of validity of the Constitution of 1838 (1838-1842) and of the Constitution of 1911 (1911-1933). ↑ "Cámara de senadores". IFE. ↑ "Constitución Política de los Estados Unidos Mexicanos". ↑ "Senado de la República - Junta de Coordinación Política". ↑ "Senado de la República - Función de control".